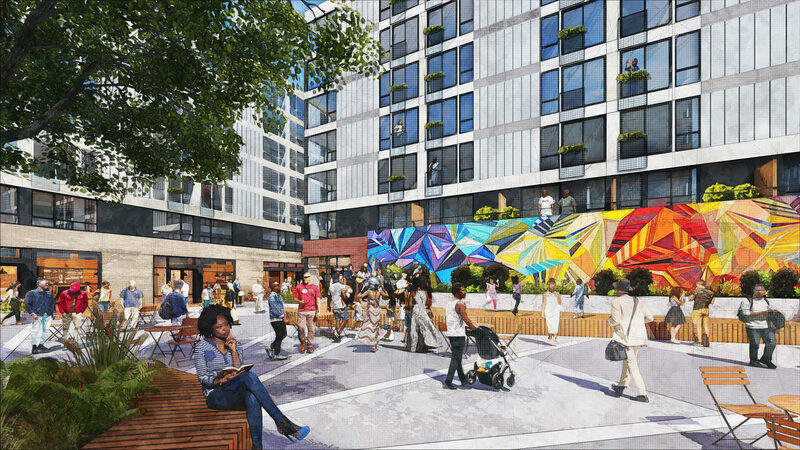 As a new model of inclusive development, Midtown Center moves beyond the standard approach to mixed-use development by bolstering local businesses, providing affordable housing and open space that maintain a sense of place and community for Seattle’s Central District. 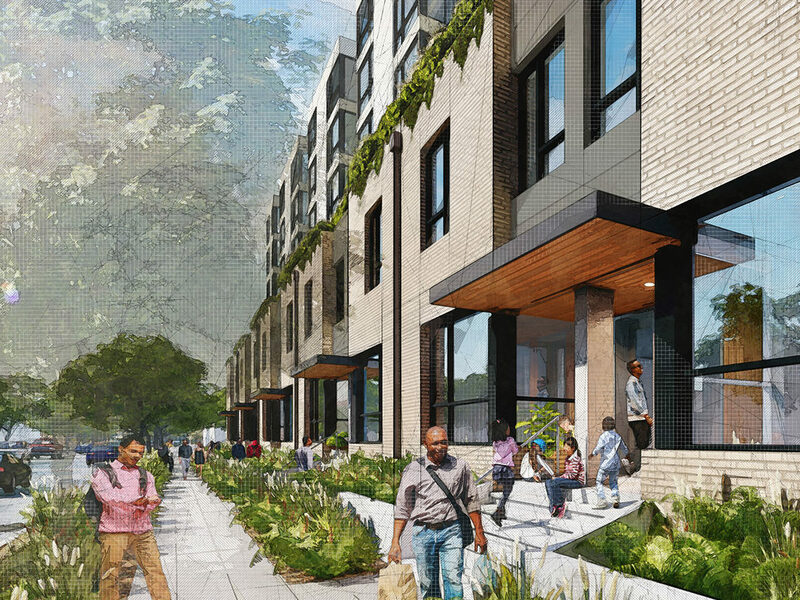 To accomplish this, the project team partnered with Africatown Community Land Trust, a non-profit that advocates for positive culture and community economic development for Seattle’s black community and the Central District. The Midtown public square sets the tone for a neighborhood urban oasis shaped by community input of flexible, programmable space for restaurants and a public market. 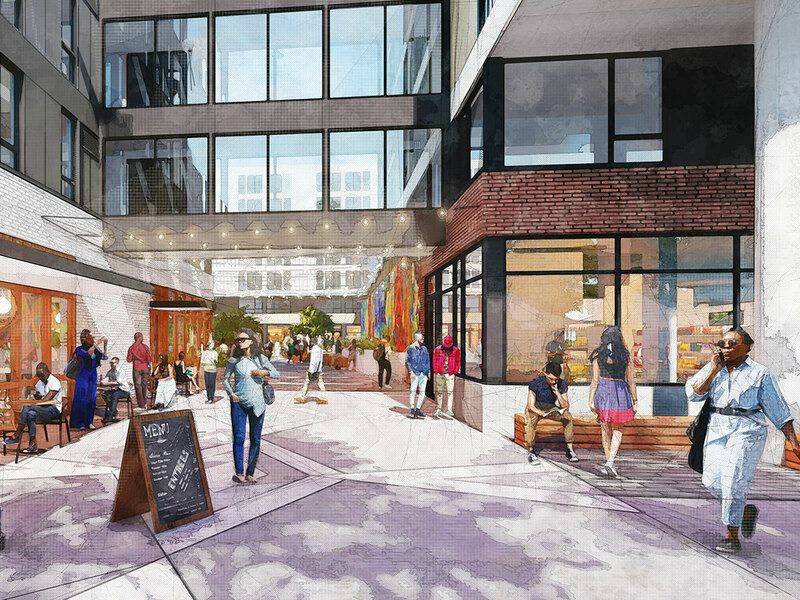 Retail will spill out to the street plazas at 23rd Street and Union Street expanding the active community open space. 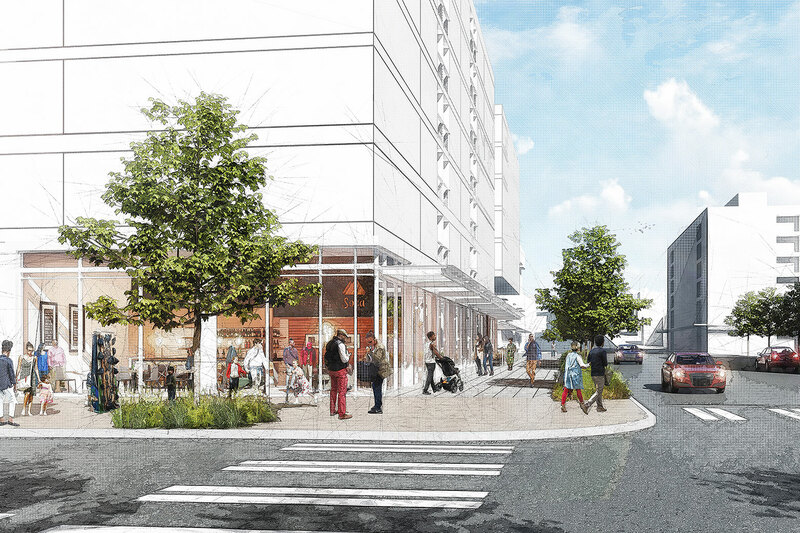 Renderings courtesy of Weinstein A+U and Lake Union Partners. This South Lake Union development sets a new standard for sustainable site development integrating urban farming, green roofs, captured stormwater and salvaged beams from the site’s renovated Historic Laundry Building. Anchor Flats is a much-needed affordable housing option in Seattle’s burgeoning high-tech neighborhood of South Lake Union.